&apos;Tis the season for festive light displays! Many family traditions include touring local neighborhoods adorned with thousands of twinkly lights for Christmas. 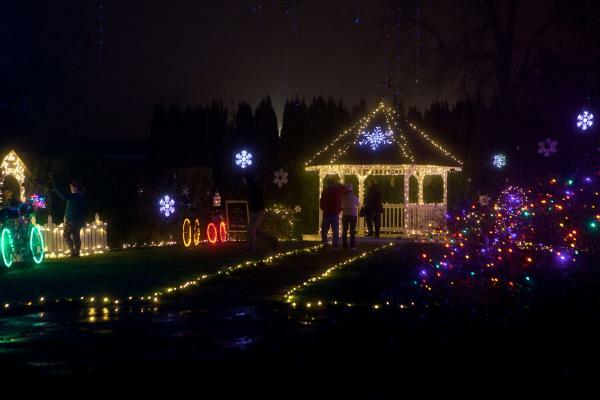 Here are the top five best ways to enjoy Eugene&apos;s magical lights this year. Downtown Eugene kicks off the season with "Light Up Downtown" when the Mayor flips the switch to illuminate a magnificent tree in the Park Blocks. There are additional tree lightings at Fifth Street Public Market (along with "snow" falling) and Oakway Center (with live reindeer!). The tiny town of Creswell turns out for their community tree lighting as well. But it&apos;s not just trees getting all the glory. Several of our historic covered bridges get bedecked in colorful lights too! On Highway 58, the Lowell Covered Bridge is magnificently illuminated with red and green lights which reflect off the smooth waters of Dexter Reservoir. Further along, Westfir&apos;s Office Covered Bridge, known for its dedicated pedestrian walkway, is decked out in full holiday lights. Its annual bridge lighting is a festive holiday event. The Goodpasture Covered Bridge over the McKenzie River off Highway 126 is also lit up for Christmas. If you appreciate the romantic charm of covered bridges, then Cottage Grove is your ideal destination. Only 30 minutes from Eugene, this historic town not only has the most covered bridges this side of the Mississippi, it is home to the Village Green hotel - known for its holiday gardens.Each year the Village Green decorates in full Christmas regalia with over half a million bulbs! Along with the lights they host a traditional Christmas Market, marshmallow roasting over fire pits, visits with Santa Claus and live entertainment. Call ahead for the schedule and pricing as it varies daily (Village Green also offers a great holiday hotel package). 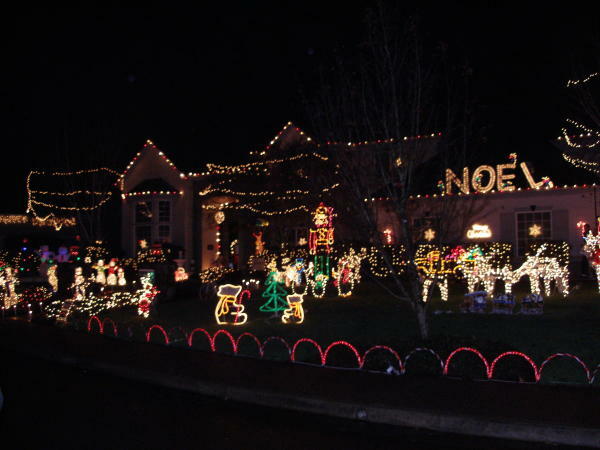 Eugene&apos;s bright spots include the Gilham neighborhood (think music and light shows) and McLean Blvd and Chambers St (no expense spared on some of these magical estates). Individual addresses change every year but to-date the most comprehensive holiday light list we&apos;ve found is at Oregon Family magazine. While you can always do the driving yourself, taking a guided tour is often the most fun. Holiday light tours are offered by My Party Bus, Sunshine Limo and Sam&apos;s Place. The drivers know the neighborhoods and can narrate about area landmarks while you revel in the sights with family and friends. And since someone else is driving, bring along a some special holiday spirits from Eugene&apos;s local distilleries (please check with your tour company first on their policies). Yes, Eugene has some pretty cool light displays! Sometimes it&apos;s easier to sit in one place and have the lights come to you! 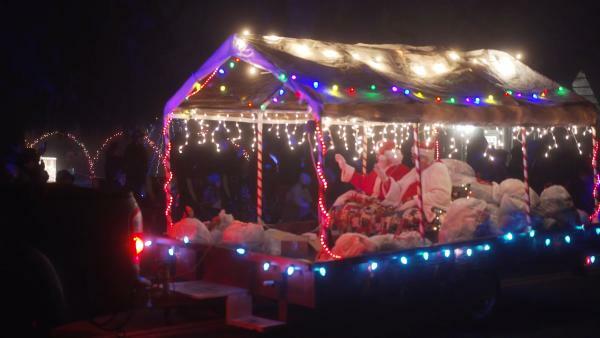 Turn out for a magical procession of huge lighted floats through Creswell, Veneta, Coburg and Junction City Since you are heading out to "wine country" towns, make plans to arrive earlier in the day and enjoy Cellar Season at open tasting rooms. The quieter winter season at the wineries comes with its own perks - seasonal decorations, cozy fires, occasional chestnut roasting and relaxed winemakers enjoying pouring in their tasting rooms. Choose your wines for the holiday table. In late November a fire truck delivers Santa to Historic Old Town Florence for a festive tree lighting. Enjoy the added beauty of lighted boats in the marina. Concurrent is the Florence Festival of Trees with a wonderland of over one hundred decorated Christmas trees available for purchase. Florence also offers a Holiday Tour of Homes in mid-December for inside peeks at residential houses decorated for the holidays. 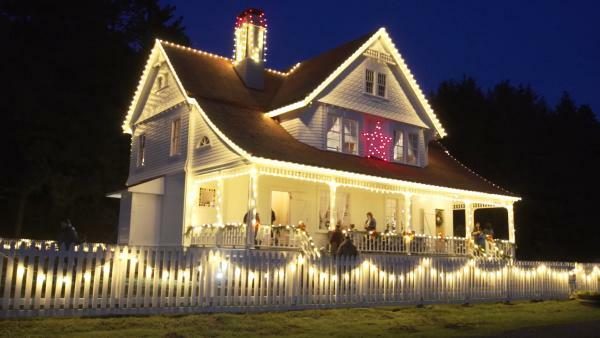 On the Oregon Coast, the Heceta Head Lighthouse is the brightest light year-round and its adjacent bed and breakfast celebrates the season with Victorian Christmas festivities. 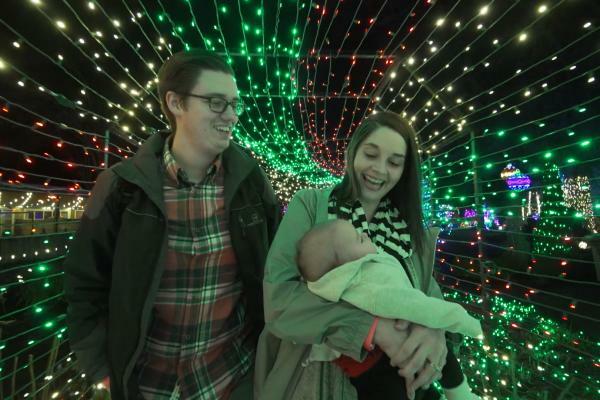 From Florence you can also drive 60 miles south to Shore Acres State Park to tour their marine-themed light display in their oceanfront gardens. For more holiday inspiration visit our holiday event calendar.